Aftermarket Car Speakers enhance sound quality and give you a better overall driving experience. You can enjoy different types of music with higher quality sound, and you can turn it up without the speakers rattling. 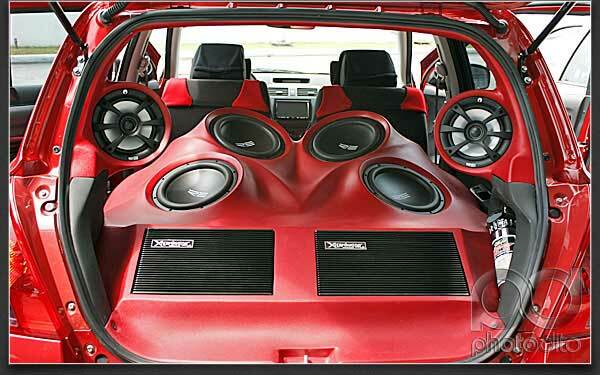 There is no need to spend thousands of dollars on a factory sound system in a new car. For new and older cars, the best way to get the most for your money is to have a system of your choice installed with aftermarket car speakers. It is easy to see a product you like and want to buy it right away. Be sure the speakers are compatible with the system you choose. If you want a new system and speakers, one of our experts can help you find the right one for your needs. Compare different types of speakers, power handling and sensitivity. These speakers are ideal for extended low and high frequency. The thin diaphragm makes that possible. However, they cannot handle overload and will start breaking down after being overloaded. The mid-range and tweeter speakers can be separately aimed and mounted for optimal sound performance. Component speakers have better crossovers and quality drivers, however these speakers can be difficult to install. In addition to this, they require finding a place to mount a crossover. There are a few things to think about when it comes to the structure of speakers. You must consider different types of materials for woofers, tweeters, surround and all other speakers. Be sure to choose the one that best fits your needs. Also, some people prefer movable tweeters. If you want them to be adjustable, consider having pivoting or swiveling tweeters installed. Installing car speakers is a complicated task that requires precision, knowledge and experience. Our technicians possess all of these skills and have experience working with a wide range of systems such as Pioneer, Orion, Kenwood and JL Audio. At Joe’s Stereo, we take pride in our work. We believe in providing visual proof of our quality car speaker installation projects. Be sure to visit “Our Work” gallery to see what you can expect. In addition to the finest work, we offer a lifetime installation warranty and a full manufacturer warranty. Contact us for more information or a free estimate.